Snakes are amongst the most dreaded animals in the world. A number of snake species are venomous and can be extremely fatal to humans. Some species are also extremely large while others are brightly colorful. Some snake species possess incredibly unique traits. Snakes are among the deadliest and most dangerous animals in the world killing 40,000 people annually. They frighten more people than any other animal in the world. Snakes have infrared imaging and they can sense prey using infrared. Let’s get ready to rumble… well, do you know that there are 10,000 male Garter Snakes fighting for one female? Of the many species of venomous snakes, only 30 kinds of them can actually kill humans. Hognose Snakes are great actors and actresses. They trick predators by playing dead. They can also set off rancid stench that will even fool the hungriest flies. Flying Snakes don’t actually fly in the air. They just use their body to glide through the air. They jump from one tree to another without any natural equipment but one mistake could be deadly. Brown Tree Snake has invaded 10 countries in the world. 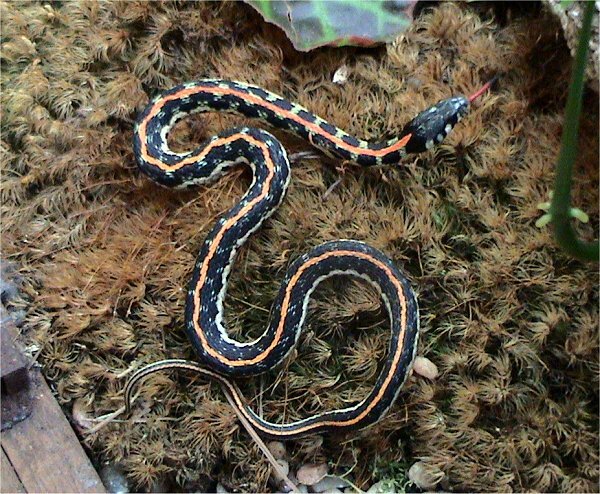 These invasive snake species are responsible for devastating the majority of the native bird population in Guam. 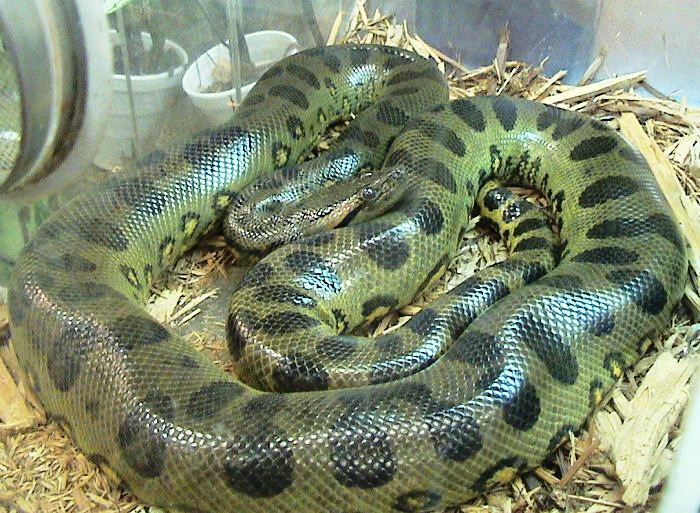 Anacondas are the largest and strongest snakes in the world but they are harmless to people. They can squeeze something their own weight to death. Cobras are the most aggressive snakes in the world. 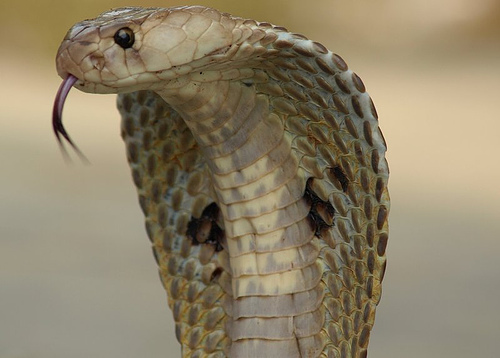 A drop of cobra’s venom can kill 50 humans. Taipans are the most venomous snake in the world and can kill 125 people but don’t worry too much because these snakes are not known to attack humans. Black Mambas are highly aggressive and are the fastest snakes in the world. They can attain a speed of up to 23 km/h. They are too aggressive that if you get within 23 m of one, they will charge and strike up to a dozen times in a row, injecting more venom each time. Sea Snakes could barely move on land but they are extremely venomous and have the capability to kill 200 people. They also create illusion to fool predators. Tiger Snakes are deadly reptiles. One bite of this snake species can kill 50 men. Reticulated Pythons are the longest snakes in the world. They are highly aggressive and are also known to constrict even humans. Without proper treatment, Death Adder can kill you in 6 hours without proper treatment. A drop of Death Adder’s venom can kill 9 people. Rattlesnakes are deadly snakes but they send out warning before they attack – a rattle. A rattle scares away predators. You have an 80% chance to survive when bitten by a Rattlesnake. Saw-Scaled Vipers are venomous snakes but their venom is not so powerful giving you a 90% chance to survive when bitten. The Spitting Cobra defends itself from predators by spitting its venom from 3.4 meters away. Pythons are among the world’s widest mouthed animals in relation to the size of head. They can open their jaws in 150 degrees and can swallow something bigger than its head in a single gulp. Full of false facts. Cobras will fiercely defend themselves when cornered, but they are shy snakes and aren't normally aggressive (definitely NOT the most aggressive snake in the world.) Most species of cobra aren't even among the most dangerous snakes in the world. Please check your facts because many of them are false. This site seems biased and just wants to scare people about snakes. Fear mongering much? WHERE DID YOU FIND ALL OF THIS GARBAGE? This is the most misinformative article on snakes that I've ever seen. Any animal can be defensive, yes that's the word you're looking for, when approached by a potential predator, that would be big scary humans. How about educating instead of misleading? Here's a fun fact for anyone reading, King Cobras are the only snakes known for building nests and are actually quite calm. They are far from the most aggressive snakes in the world.